We regularly chat to customers who want to grow their business and, as a result, have spent lots of time and money on advertising and direct mailers that do not deliver the results they expect. They’re looking for advice, guidance and inspiration. So the first thing we always say is – clean up your database! Do you regularly find duplicated client cards? Using Kitomba One you can now clean up your existing database. Find, merge and convert duplicated records in no time. A loyal and connected client base is your biggest asset. Your clients will come and see you more often, they will spend more money with you, they will follow you wherever you go and they will talk about you to their friends and family. To solidify your relationship with your clients, the most important thing you need to be able to do (besides the amazing in-salon experience) is communicate to them. Too hard to wrangle those contact details off them? Well, it could be harder on your bottom-line not to. 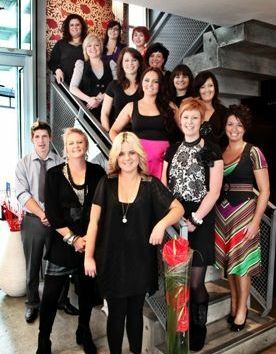 True Grit is a popular – and award-winning – Christchurch salon owned by Jacqui Victor and, like the salon name suggests, she’s a true business battler. Between 4 September 2010 when the first big earthquake hit Christchurch and 8 February 2012, True Grit has been forced to move locations FIVE times with extended periods of closure and business interruption. This has been by-far the most challenging period of Jacqui’s business career. Yet, in the period between 1 September 2010 – 31 August 2011, True Grit maintained, and actually increased its revenue by 12% on the previous year. And between 1 September 2011 – 31 August 2012 revenue increased by a further 8%. Following the earthquake True Grit was forced to close its doors for three weeks. When the cordon was lifted and before re-opening, Jacqui and her team personally called every single client whose appointments did not happen as a result of the earthquake and booked them back in for some much-needed pampering. She also communicated with her entire database via email, SMS and Facebook to let them know that True Grit was open for business. 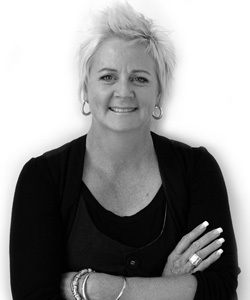 And – importantly – kept her clients in the loop with every single location-move. A strong database, proactive communications strategy and determination was the difference between being out of business and coming back with a stronger business. True Grit is focused on maintaining its client database. So if you’re wondering what your first move should be to successfully maintain and grow your business, start with your database. If your clients are reluctant to complete their new client form or update the existing client form, try incentives. If you have other smart ideas for cleaning your database, share your ideas in the comments section below. Thanks Jacqui and True Grit for sharing your story. We take our hats off to you! Stay tuned for our next Marketing ‘How-To’ post.